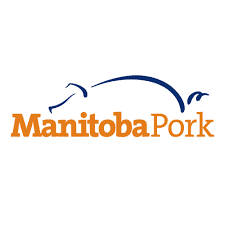 Manitoba Pork and the Chief Veterinary Office strongly recommend enhanced biosecurity steps be taken on all premises and by all stakeholders in the area bounded on the West by PTH 75, North by PR 210, East by PTH 12, and South by Rd 34 N. This recommendation is meant to provide easily recognisable boundaries for all involved. Consult your veterinarian on enhanced biosecurity protocols that can be implemented on your premises. In the 2017 outbreak, we currently have 68 premises which have reached Presumptive Negative status, 11 Transitional status sites and one Positive status site. We encourage all producers to register for the password protected Manitoba Coordinated Disease Response (MCDR) online, to access detailed information regarding status and location of affected premises. Porcine epidemic diarrhoea is caused by a coronavirus somewhat similar to that which causes transmissable gastroenteritis (TGE). This virus is widespread in Europe. The virus damages the villi in the gut thus reducing the absorptive surface, with loss of fluid and dehydration. After introduction of the virus into a susceptible breeding herd, a strong immunity develops over two to three weeks. The colostral immunity then protects the piglets. The virus usually disappears spontaneously from breeding herds particularly small ones (< 300 sows). Acute outbreaks of diarrhoea occur when the virus is first introduced into a susceptible population. In such cases up to 100% of sows may be affected, showing a mild to very watery diarrhoea. Two clinical pictures are recognised: PED Type I only affects growing pigs whereas PED Type II affects all ages including sucking pigs and mature sows. The incubation period is approximately 2 days and diarrhoea lasts for 7 to 14 days. In sucking pigs the disease can be mild or severe with mortalities up to 40%. In large breeding herds, particularly if kept extensively, not all the females may become infected first time round and there may be recrudescence. This only occurs in piglets suckling from sows with no maternal antibodies and is therefore sporadic.